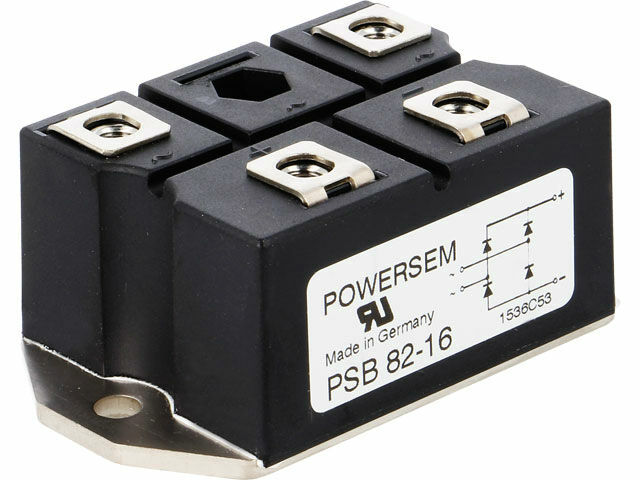 POWERSEM single phase rectifier bridges from PSB82 series are characterized by low forward voltage and higher resistance to temperatures. They are made in "glass passivated" technology what results in increased breakdown resistance (3kV insulation voltage). The package is equipped with screw terminals (M5) what ensures easy and quick installation of a bridge.